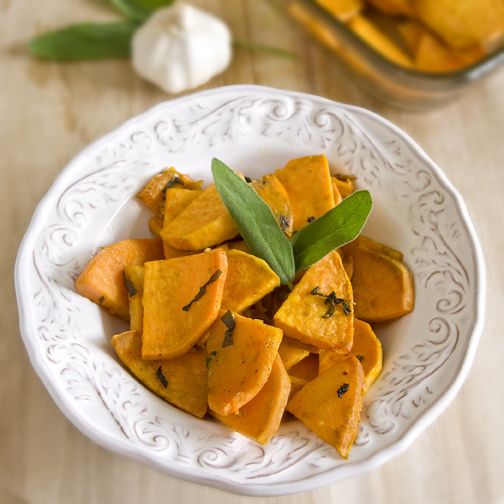 In a large bowl, toss thinly sliced sweet potatoes in olive oil, sage and garlic. Sprinkle with salt and pepper. Transfer sweet potatoes to a large roasting pan. Bake in preheated oven on middle rack for 30-35 minutes until sweet potatoes are tender. 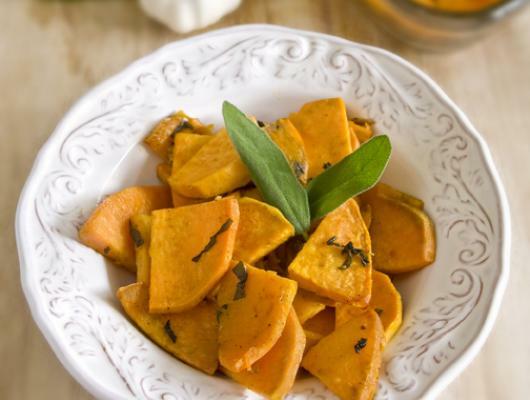 Roasted sweet potatoes with garlic and sage. A healthy side for your Thanksgiving meal.